Ron and I were traveling from from 4/30 through 5/17/10 from Istanbul to Venice, soaking up “best” practices in HRM, the HRM delivery system and HR technology every step of the way. I did some live tweeting from “the road” and sent frequent travel bulletins to friends and family. I had planned to write a field report on the return flight and then get it posted right away, but as so often happens to me, life got in the way of my blogging. First, a rotten head/chest cold picked up from Typhoid Mary, who coughed her way through the flight from Venice to Miami and should never have been allowed on aboard the Swiss Air flight, not only killed the return flight in terms of anything productive but then laid me low the entire first week after my return. I’m still chuggy so hope attendees of the Knowledge Infusion Webinar I’m doing this week will excuse my dying frog voice. Piles of client work, trying to follow way too many excellent vendor user conferences being live tweeted by colleagues (more on some of what was not too heavily dissected by others in later posts), and a very tough diagnosis for a very close friend greeted my return even as I was only operating on a few cylinders. Now, with the passage of time, I realize that I must do two field reports, Part I on the travel itself, which was amazing, and Part II on the more serious professional observations. And even with that, I’m going to have to do an update to Part I when the Wallace has finished annotating the complete photographic record of our travels on SmugMug. So on with Part I, in beta. Our Istanbul hotel, the Sirkeci Konak, in the old city, was fabulous. Very well-located, their own hamman, complimentary apple tea (the only tea I’ve ever found that I wanted to drink, so we brought back pounds), modest but very comfortable rooms, and an amazing included breakfast. Sipping apple tea in the afternoons to the music of the Elbonian flute player, you knew you weren’t in Fort Myers. First impressions of Istanbul were very positive — the skyline is all minarets, one more beautiful than the next, there are loads of young people strolling the parks that line the coast (Sea of Mamara and then the Bosporus), some women wearing traditional headscarves and long dresses, but many did not, and a wonderful looking fish market that’s a little like Pike Place in Seattle but with real flying Karamazovs. Our tour guide Anka (Society of Travel — an award-winning local tour company) was terrific. Smart, funny, and a great representative of her multi-cultural, secular, rapidly-evolving Istanbul. We learned a lot about the history of the Turks, how every great innovation/invention originated with the Turks or their mishpochim, and how even the Navaho Indians are considered mishpochim. Turkey is a cultural/religious melting pot, over a couple of millenium rather than just a few hundred years like the US, where you can tell a family’s social and financial status by their rugs. They have a strict separation of church and state, and they are also like us in terms of their fervent commitment to democracy and to that separation. Interestingly, their traditionally secular government has been taken over by a more religious-leaning party, and they’re quite afraid of the possibilities. Turkish food is wonderful with lots of vegetables. Unlike Spain, where they sneak ham into every dish, there is no pig meat on offer here because it’s forbidden in the Muslim faith. Great for a Jewish girl from Florida. Our first full day in Istanbul was nonstop. First up an early morning, get ahead of the crowds visit to the Domabahce Palace. It has the largest Baccarat crystal chandelier in the world, and there’s also a Baccarat staircase not to mention tons of other Baccarat chandeliers, sconces, standing lamps, you name it. We climbed up/down/all around until even Ron’s legs from flat Florida were aching. Then on to the Haghia Sofia, a giant church turned into a mosque (we’re talking way back when), the Hippodrome and a quick run at the Blue Mosque. When we saw how many stairs were involved for the tour of the Blue Mosque, we took a pass on the full experience and headed for the Turkish Museum. You’ve never seen antique rugs like these. At the Museum, we studied rugs and rug-making through the centuries, learning what to covet. Planning for our second day, I was told that there would be rugs to buy that Ron could carry home strapped to his back. They also ship, but I always love returning from a trip with Ron doing his sherpa routine. I think I could have been quite happy as a Sultaness. We drove along the Golden Horn, which is a wonderful bay that’s lined with parks. Everyone was out on Sunday, and it’s a pretty religious area so many of the locals were in the most orthodox interpretation of their dress codes. Designer headscarves look really wierd with frumpy, trenchcoat-looking schmattas that go to the ankles. But who am I to say? We learned that this whole burka business isn’t in the Koran at all but is centuries of interpretation of one pretty vague phrase. No offense to any religion, but that extensive interpretation is a little reminscent of how the laws of Kashruth in Judaism have been extrapolated from a few modest suggestions in the Torah. One other impression. When the calls to prayer are chanted, it’s so like davening. I found myself wanting to join in. Monday 5/3 we spent another day touring in Istanbul, having really lucked out with our guide. We hit two synagogues for which we had made previous arrangements with the chief Rabbi of Istanbul, one of which is a museum showing the truly amazing and very long history of Jewish life in Istanbul. I didn’t know that, when the Jews were expelled from Spain in 1492, along with the Muslims, the Ottoman Turks sent an armada to rescue those being driven out, welcoming as many Jews as chose to come. And at the still operational synagogue, we ran into a group of college students with their professor so got a lot more Jewish Turkish history than we otherwise would, not to mention some fantastic davening. Those prayers came back to me as the voices of the young people filled the shul, so I joined right it. My sister Marsha was glad to know that I left money for both of us in each synagogue, something we do everywhere we go. On Monday we also visited the Spice Market, where Ron bought enough spices mixed to his orders (what would be good on grilled vegetables? what about pan roasted fish? another for roast chicken? do you like this one? is it too hot? after an hour of which my tongue could no longer taste itself!) to last us a lifetime. Even vacumn sealed, their smells pervade everything within 200 feet. Then on to the Grand Covered Bazaar, and it was overwhelming. 8,000+ shops. We had lunch at Hamdi, famous among the locals for its food and views over the Golden Horn and Bosporus. All we could eat for three, with uniformed waiters, linen everything, for just 50 Turkish Lira (1.5 TL per 1 USD). Can’t wait to return because there were so many things that we never got to try. The highlight of Monday was meeting a Jewish rug merchant (don’t start laughing yet) whose firm is working with the government to ensure that the weavers, otherwise a dying breed, can stay in their villages by providing schools, health care, and great wages. Yes, we bought a rug, but to call it a rug is to miss the point. This is all silk, traditional zillion knots per inch, and colors and pattern to die for. We restrained ourselves on size, so bought top quality but in quite a small rug that we’ll hang on the wall. It’s museum quality, but I’m still going to walk barefoot on it before it gets hung. Or maybe we’ll just use it and to hell with posterity. On Monday night, we wandered alone through the old town last night near our hotel and had another wonderful meal on the roof of some hotel into which we just wandered. There was a large group of Aussie tourists, all decked out in harem outfits, who had been to see Gallipoli. They were from Sing Australia, and boy did they ever. Aussies are party animals first class, which we remember fondly from our cruise on the Murray River, and we always enjoy running into them. Have I mentioned the calls to prayer? We rose with them and went to sleep with them, and it took me back to schul with my Dad so many years ago. I loved the sound of the men’s voices davening, and the muezzins must study at the same yeshiva. On Tuesday, 5/4, we boarded the Seven Seas Mariner, landed in the lap of luxury and were a little overwhelmed. There’s nothing you can imagine wanting that doesn’t show up even before you’ve thought of it. The ship is gorgeous and huge compared to our experience with sailing charters and very small ship cruises. Food — fantastic. Cabin — beyond expectations (even has a real walk-in closet). Since the dinner menu in the main restaurant included Empire kosher chicken with carrot tzimmes, not to mention potato pancakes, I think the Borsht Belt crowd’s children and grandchildren have simply relocated. Again for Marsha’s benefit, all the right labels are on prominent display, none of which are in our closet. And off we sailed to Mykonos. It didn’t take us a full day with the Mariner crowd to realize that Ron and I are NOT mass market tourists. We enjoy the gentle poking around that lets us develop a sense of place and people in our travels, and that’s something you simply cannot achieve when accompanied by busloads of total strangers descending on each place you want to see. First up was Mykonos, where we anchored out and were tendered ashore. Everyone has to report to the theater to get their tender assignments, which involves a lot of lining up and waiting with hundreds of people. Since we hadn’t signed up for a tour, we were in the group of independents who were allowed to take the tenders only after all the organized tours had been tendered ashore. You can imagine my reaction. I hate crowds and lines, and all I could think of was that my brother-in-law Irwin hates that stuff as much as I do. Bloom Tours does not subject its very select clientele to such inconveniences. But we finally got ashore and were able to walk into the town without benefit of a tour guide. Excellent! Tacky tourist everything, and tavernas that were trying hard to be what you expect in a taverna from having seen the movie Shirley Valentine. But Mykonos has a truly spectacular setting. We walked and walked, around and around, through narrow cobbled lanes with houses built so close together that their bourgainvilla bushes were nearly intertwined. The design of the town is defensive, dating from the pirate raids of old, and it works. There’s no getting out until you’ve passed every shop about four times. It’s a beautiful and peaceful place, if you can get past the shop people calling to you at every turn (although the Greek shop people are MUCH less aggressive than their Turkish colleages) until the cruise ship hordes descended. I know I’m a snob (Ron, of course isn’t), but I couldn’t get any sense of place with all those people barging around looking for tourist plunder. Next up Kusadasi for Ephesus, and I let Ron go on his own to visit the ruins because all the ship’s tours sounded far more challenging than I can manage — and Ron reported that I made the right decision. He had a very good guide and was able to visit the newly excavated Terrace Houses, so he had a great day. Meanwhile, I did my favorite thing, wandering around Kusadasi, talking to strangers in languages I don’t know, learning what life is like somewhere else. On to Santorini, which is so spectacular that not even our pretty disinterested guide (a beautiful young man who knew it and took for granted that he could just go through the motions), the stop for an included Greek snack at a bus tour restaurant that we wouldn’t go to otherwise on a bet, or the rushed time in Ia (the most beautiful village on the island, not to mention the home of some really great jewelry shops for which there wasn’t enough time) could detract from the experience. I did slip away in Purgos, a town on Santorini, to wander on my own (I took the flat road while the guide took everyone up, up, up), wandering into a bakery none of whose products I recognized, and then talking with a local woman who was kind enough to show me the inside of her typical cube home. These are the moments I cherish in travel, as well as visiting the major sights with a little quiet in which to absorb them. And while Ron is less vocal on the subject, he is no less enamored of mass travel than am I. The return to the ship — clambering up, up, up until we reached the cable car station — made us painfully aware that we really didn’t want to be part of such large groups. But Santorini is truly worth another visit, maybe a long visit. No wonder Shirley Valentine never left. Katakalon is the gateway to ancient Olympia, Greece the chief sanctuary of Zeus. This is where the ancient athletic competitions that we know as the Olympics were born in 776 AD, but only after nearly 1600 years of less formal competitions. These ruins contain the Temple of Zeus, which was one of the Seven Wonders of the Ancient World. Strolling past the training grounds, gymnasiums, baths, and all the infrastructure needed to support these competitions, I could almost hear the voices of those athletes from so long ago. They weren’t just competiting for the love of sport; this was the way in which the ancient Greeks avoided war among their neighbors. Every four years, the best of the best came to duke it out on the playing fields, with great honors going to the winners. How I wish that our modern Olympics could have replaced all other forms of combat. Corfu was wonderful. We bagged the planned tour and just wandered into the old town on our own, walking up and down the narrow alleyways which are very Venetian in atmosphere. It’s a tourist town for sure, with tons of shops carrying all the usual: honey, olive oil, everything conceivable made from olive oil (like soaps) and everything conceivable made from olive wood (like the coasters we bought for our new boat). But it’s a truly lovely town on a lovely island. From our stateroom balcony, we could see the mountains, some of which were snow-capped and all of which were covered in evergreens, which make up much of Corfu and cover the surrounding islands. They are dotted with villas, and we learned that many Europeans, especially those from northern countries seeking the sun, have second homes here. Just to get calibrated, in these parts, the so-called New Fort dates from the 1600’s. As we were steaming past the shores of Albania, we saw wierd battlements and other modern reminders of recent conflicts that took place here or simply the remains of paranoia. Lots of gun emplacements and bunkers. There were also partially finished developments and soviet-style apartment buildings that were really depressing, even from afar. But the waters were very clean, and the surrounding mountains impressive. No stops planned for Albania, which gets very few tourists. Passing Serande, Albania, a large city climbing uphill from the harbor which consisted of zillions of identical 8-story apartment blocks, we saw a lot more gun emplacements. Has anyone every attacked Albania? And so the cruise part of our trip continued. Without stopping in Albania, we were next in Dubrovnik, Croatia. It’s a medieval walled city, very small but perfectly preserved. It’s right on the sea, with spectacular views from the top of its walls. After Dubrovnik came Korcula, also in Croatia, where we toured the entire island and loved the small harbors. Then came Koper, Slovenia, a very small and rarely visited port which was dominated by its university. Lots of walking in all of these places, not to mention steps/hills, and I kept wishing that my arthritis would just go away — but it won’t. I did better than expected, but I always hate that I can’t do more. My limitations limited Ron’s explorations, but we still saw a lot of wonderful places and tasted local wines everywhere — and the Wallace never complained, not even once. When we booked this cruise, we got a bunch of onboard credits, $800 in total. I was determined not to leave a single dollar of credit balance, but I ended up leaving $15 behind. After using most of the $$ for internet access (surprise! ), I bought two t-shirts (lots of sparkles, so perfect for Florida) and a wonderful pocketbook in the duty free shop on board. Add that to the things we’ve been buying along the way, and we were in trouble before we even got to Venice, the best shopping city in the world. Leaving the ship the morning of 5/14, taking the water taxi to our hotel, and then following the hotel porter through the back alleys from the landing dock to the Hotel Flora, it felt like coming home. Sure, the Gritti Palace or the Danieli have much larger and more luxurious rooms, and they’re the places to see and be seen, but for 5 to 10x what we’re spending on the Hotel Flora, they should have to be. Our room was smaller, much smaller, than our suite on the ship, but it made up in character and location what it lacked in space. Our hotel was right off the main shopping street, just remember to turn right at the Bulgari store. Unfortunately, since our last visit to Venice, the Hotel Flora’s service had slipped considerably along with its included breakfast, so we won’t make that our Venetian base in future. In Venice, we walked until we dropped, literally. Venice is a mass of winding alleyways that get narrower and narrower until you’re snuggling with the person coming the other way. We found Ron a terrific sweater, a real masterpiece of the knitters art, all in blues and beiges to go with his standard jeans and khakis. Marsha will love it. And I bought a made only in Venice brooch and earrings from an accessories shop where I could have bought everything. I plan to wear my new brooch with business suits, and it’s a stunner, a real Madeline Albright-style to keep the focus off my hips and on my face. Venice has more fabulous shoes, scarves, handbags, jewelry, accessories of all kinds, much of which is made locally and only available in Venice. What did we like best about this trip? Wandering the streets of new democracies, seeing the young people who are the future of these new countries — and of some very old ones that are newly democratic — you can’t help but feel a little more hopeful for our collective futures. And then it’s all about the smells, the sounds, the tastes of new places. Perhaps it’s the wandering Jew in my DNA, but I never tire of new places, new people, and new experiences. I really do believe that living large is the best antidote to aging. I have found Private Tours in Turkey and well all ı can say is thank you to all the team. Our stay without any trouble, nothing to stress about as everything was organized by the team. I went with my huge family to Turkey and we wanted to enjoy and have a perfect stay. 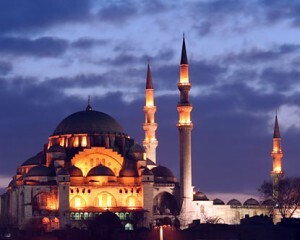 We made our reservations about 3 months before our departure, so we would be sure everything would be prepared ahead of time http://www.privatetoursinistanbul.com We did not know what we wanted to do and visit, and they helped us to put an itinerary for our 4 days in Istanbul (8 days total in Turkey). They are a unique tour company offering fun and affordable tours of the major attractions along the Turkey. Their tour guides share the incredible gems the city has to offer. They know their history and share unusual facts and interesting information about cities. Travelers who are looking for more than a boring history lesson will enjoy the guides’ sense of humor and passion. During the tours instructors and guides provided one-on-one interest to every participant. They also made some recommendations on good, affordable restaurants and places to stay also. We probably would not have found by ourselves, or maybe with days and days of research. From several hours to several days, you can try to make both private and group tours in Turkey with this company. Try this fun and exciting way to discover new places. They have provided us the most valuable, interesting and appealing attractions of Turkey, we definitely had a good time which we relish to re-experience through their best services.